In today's episode I wanted to personally thank everyone for the support here at Fire and Adjust. 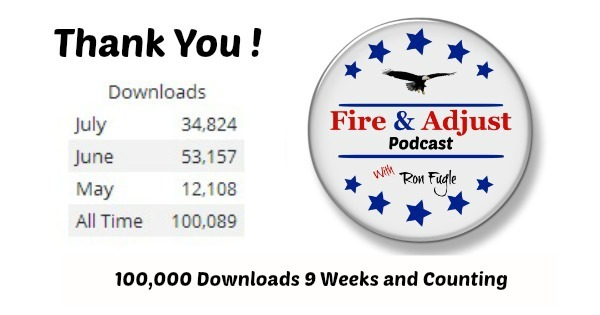 We are off to a great start with over 100,000 downloads in just 9 weeks, witch is Amazing and could not be done without all of you guys helping spread the word and sharing the show. We got some big things to talk about today to include the Newsletter, Sponsors and the New Fire and Adjust Membership Site and Mastermind Group starting today ! You can learn more about this in the show and on the menu bar you will now see a new Sponsors tab and Join Fire and Adjust ! Are you Ready to Fire and Adjust ? Jump in and lets get this ball rolling, exclusive discounts to the First 20 Members so don't miss out. Do you know What is a Mastermind is ?